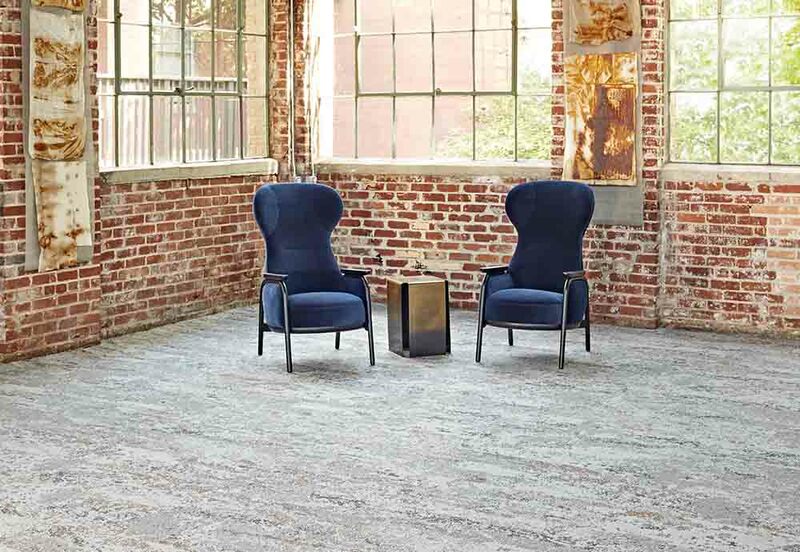 The Artefact carpet tile collection from Patcraft features products inspired by an oxidation experiment exposing fabrics to metal, rust and water. The collection is available in four 12 x 48 in. carpet tiles with a multi-level pattern loop. The collection offers a selection of four carpet tile products called Patina, Etched, Relic and React. Patina features subtle patterns alluding to primitive surfaces marked by water and time, Etched includes a monochromatic palette reflecting materials that have been softened and worn over time, Relic’s large-scale pattern resembles corrugated metal and React creates subtle layers of texture evoking a sense of depth and timeworn quality. Constructed with Eco Solution Q Nylon and EcoWorx backing, Artefact is Cradle to Cradle Certified Silver. Products are backed with lifetime warranties against stain, colourfastness to light, static and abrasive wear for maximum performance and appearance retention.